The Swiss bodybuilder was born in 1968 in Brig, Switzerland and lives today in California. 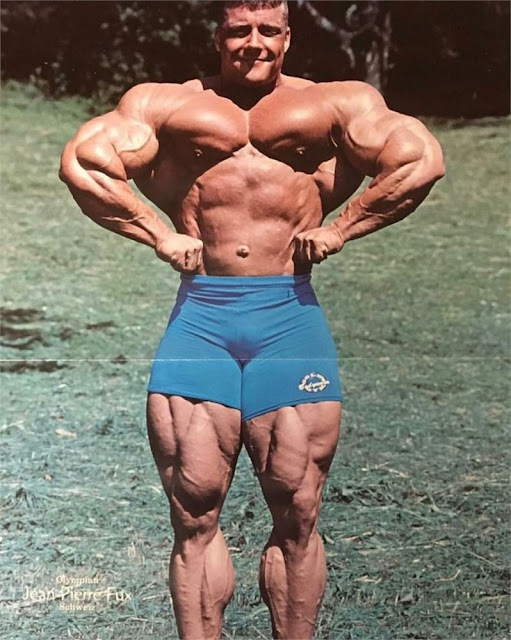 He started training when he was 16yo and just 2 years later he participated in a local bodybuilding competition where he placed 4th as a Junior Heavyweight. 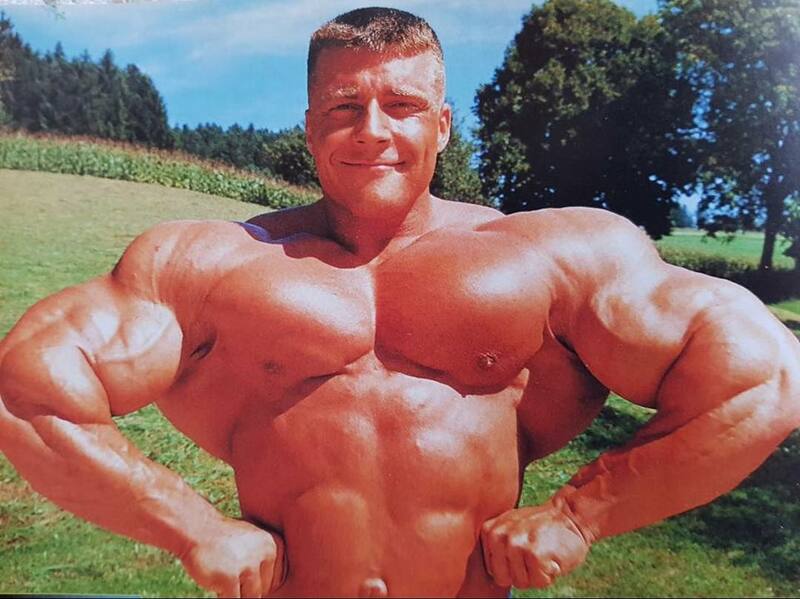 Only 4 years after beginning weight training, his body weight was already 120kg/265lb! 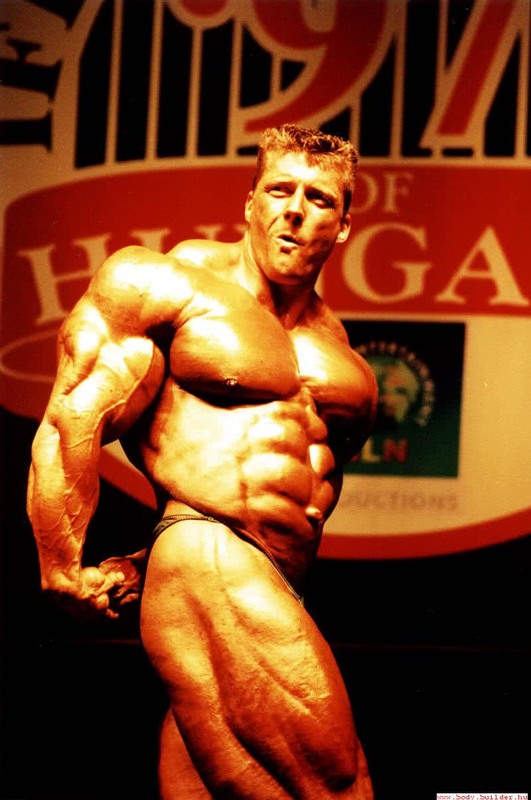 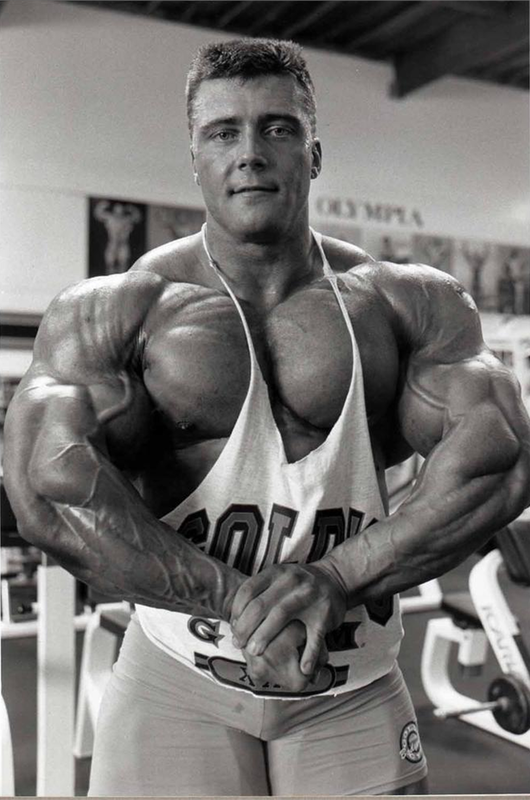 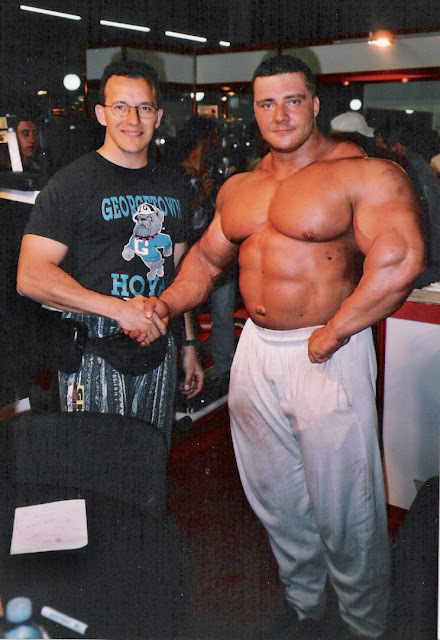 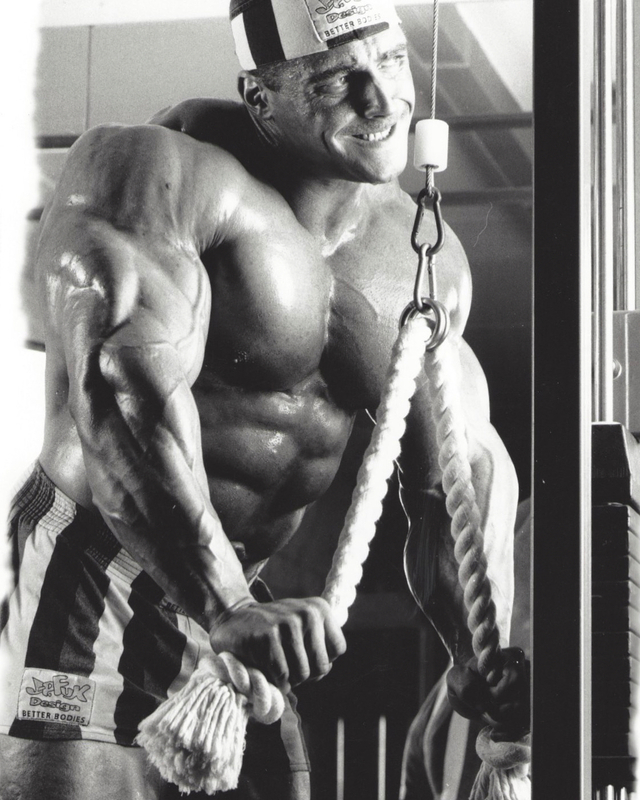 During the period 1996-1998 he participated in nine Pro contests with good placings and was between the top bodybuilders in the World. 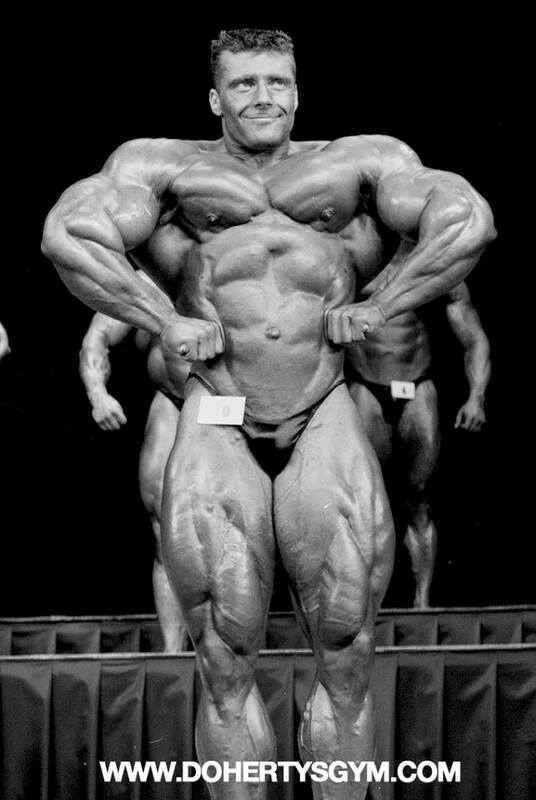 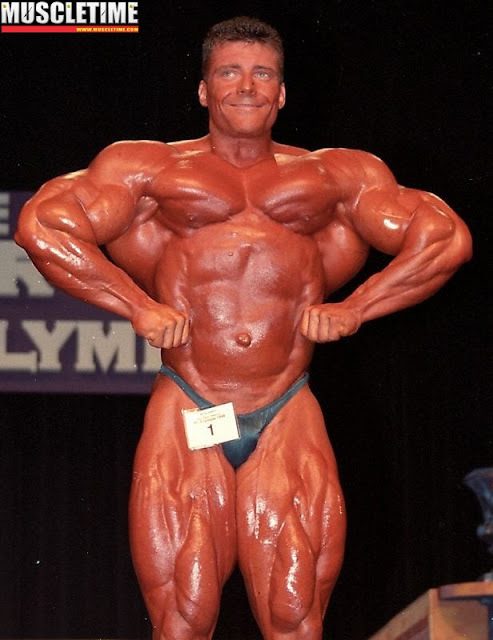 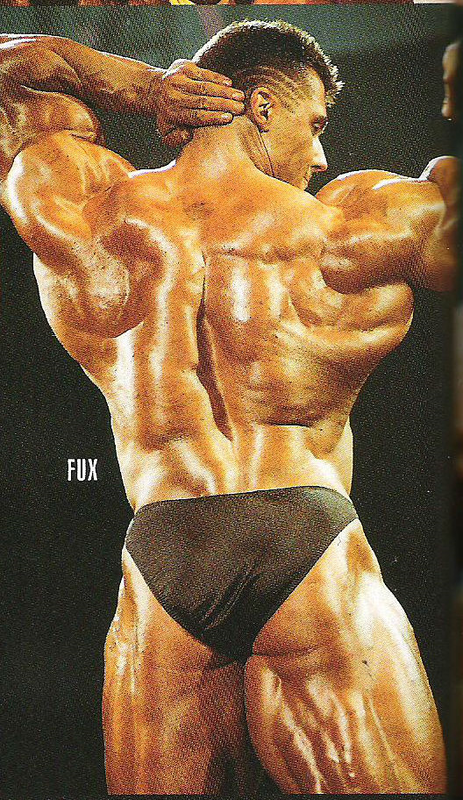 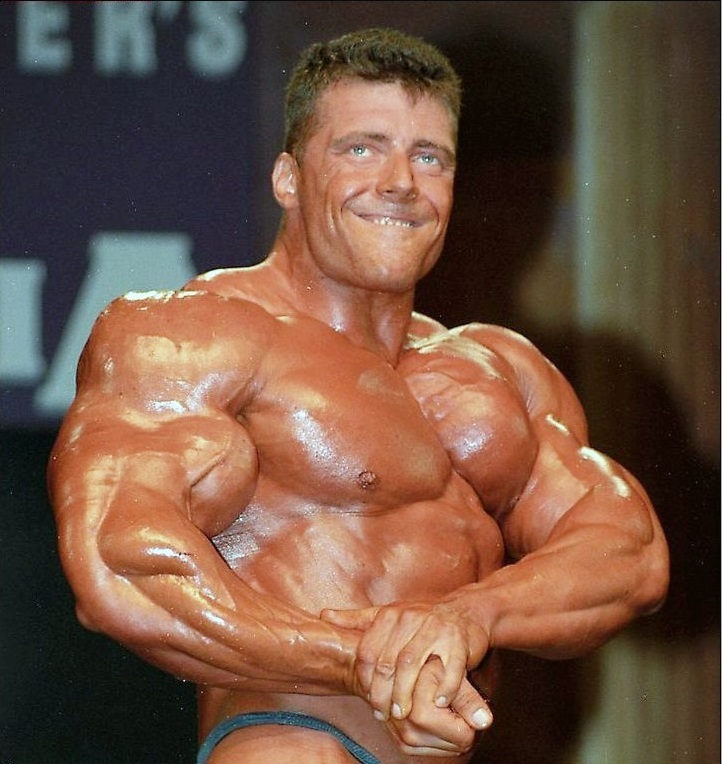 Jean-Pierre Fux was an absolute mass monster and he drew attention in every conmpetition. 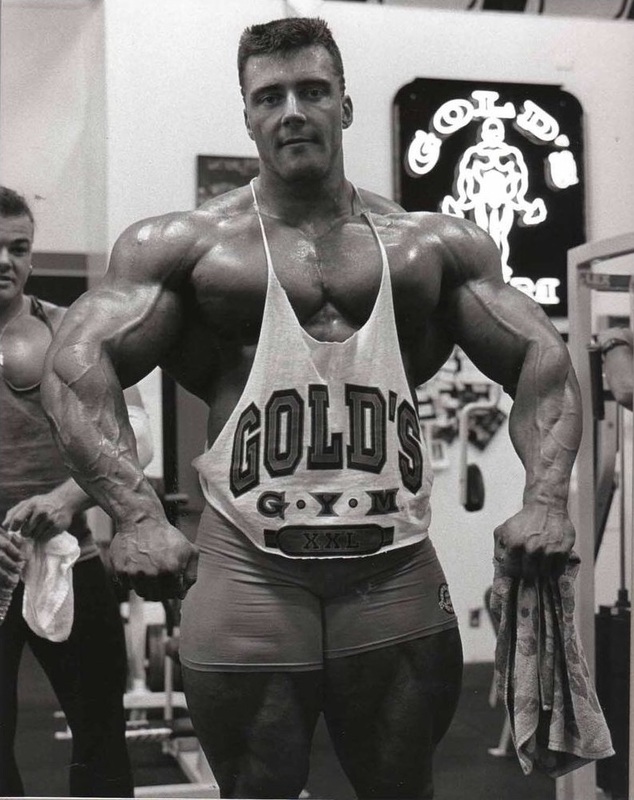 When he made his Pro debut in 1996 at the age of 27yo, the tall athlete (182cm/6') was 125kg/275lb with one of the widest backs ever seen! He had the size and the physique to take his career very far but unfortunately a squat accident in the gym suddenly stopped his bodybuilding career in 2002. While he still tried his best to train after his knees were destroyed, ultimately he had to give up on the idea of continuing his career and lost his big muscle mass. 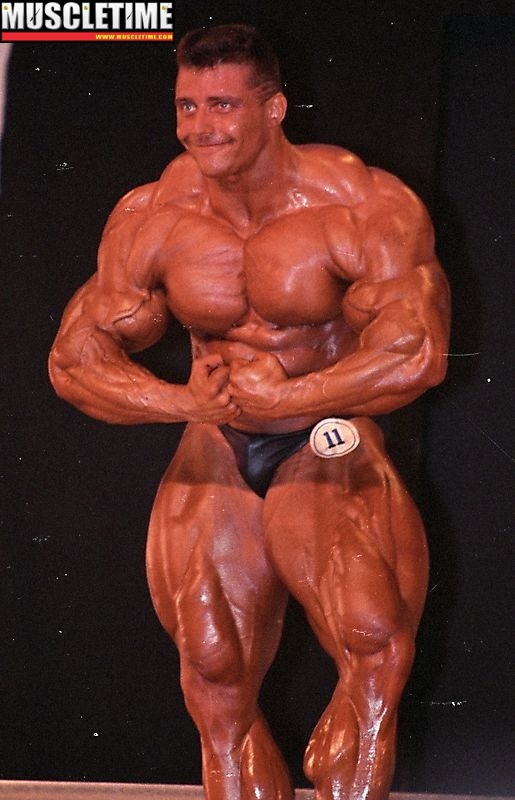 I feel him on the bad knee handicap. For a bodybuilder at his high level of conditioning, having restrictions on training because of knees must have crushing blow.